For more information or to schedule an appointment with our Ham Lake chiropractor, call (763) 434-5714 today! 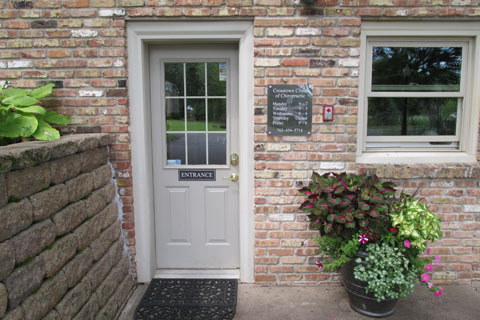 Crosstown Clinic of Chiropractic is centrally located near Hwy 65 providing quality Chiropractic to Ham Lake and surrounding communities for over 50 years. Our Clinic treats patients who have every day Chiropractic needs and those who have injures due to automobile accidents or work related injuries. Crosstown Clinic is a “in network provider” for all insurance plans in MN. 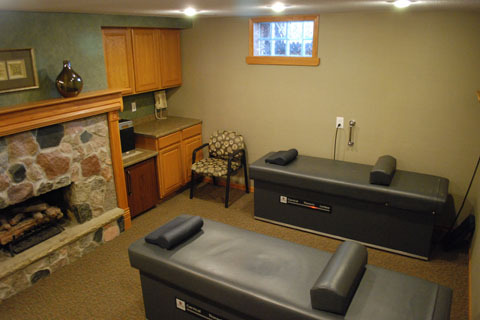 Our office is fully equipped with therapy equipment, rehabilitation exercise equipment and x-ray facilities on site. We provide quality care with the goal of bringing you back to optimum health. At your first visit to Crosstown Clinic of Chiropractic, Drs. Robert and Valorie Hoffmann will explain how chiropractic care works and give you a full evaluation to see if our chiropractic solutions are a good fit to address your needs. After listening to your concerns, reviewing your medical history and current medical conditions, we can customize a plan of chiropractic care for your condition and health goals. 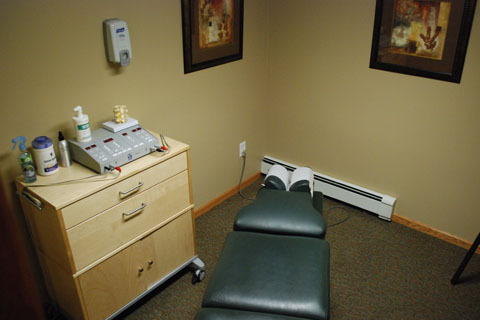 If you have not been to a chiropractor before and want to find out more, please Email Us or call (763) 434-5714 to receive the answers to your questions from our experienced team. The atmosphere is inviting at Crosstown Chiropractic and our friendly staff is available to help you with any questions you may have. 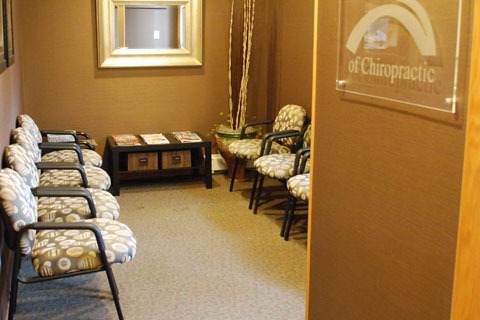 We look forward to meeting you and taking care of all your chiropractic needs. Sign-up using the form or call us at (763) 434-5714 to take advantage of this exclusive offer. Robert and Valorie Hoffmann are Ham Lake chiropractors who serve Ham Lake and the surrounding communities in MN . "I love it here! They listen, make you feel like a part of the family and don't their force products on you like some other chiropractors do. If their product works, they use it themselves to show you how well it works. If it doesn't, they will research the things you need and tell you where it can be found. They're absolutely awesome! My eldest has autism and they treat him so well! He loves going there. He's always asking when we can see Dr. Valerie, the "car-tractor"(chiropractor). The staff, "
"Amazing!! I am from out of town and was suffering from a migraine. So glad I found this place. I called this morning and was able to have a appointment with in 45 mins. The best chiropractor I have ever been to. Everyone was so nice, talked quietly, asked if I wanted to fill out the paper work after the app. & turned off the lights for me(because of the migraine). Definelty will recommend and be back again when I'm in town. 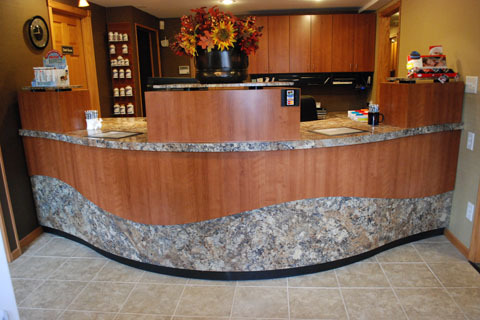 Thanks again:)"
"The staff at Crosstown Chiropractic is warm, caring and flexible. I've been a patient there for 26 satisfied years. They've brought me through a couple tough situations and help me maintain my long-term well-being. Thank you Crosstown!" "They actually listen and care, and obviously know what they are doing because I feel better than I have in years, after only 3 visits. I’ve been to a couple of chiropractors in the past and never had the same feeling. Highly recommend so far."